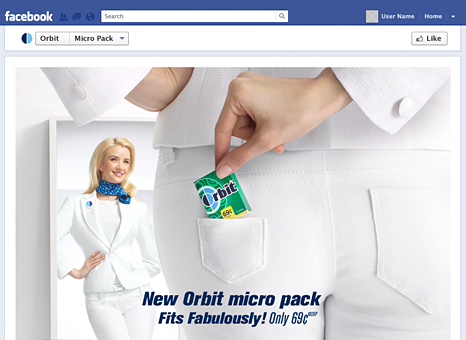 Orbit Gum was on the verge of something big: the launch of their ultra-small micro pack. 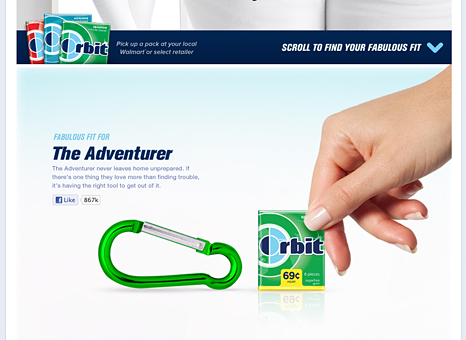 They needed a digital experience that would drive awareness of the new packs. The integrated campaign included HTML-based Facebook and mobile landing pages featuring 3D animation, as well as online and mobile media ads. Combined, these pieces showcased how the smaller packs fit fabulously into any lifestyle. 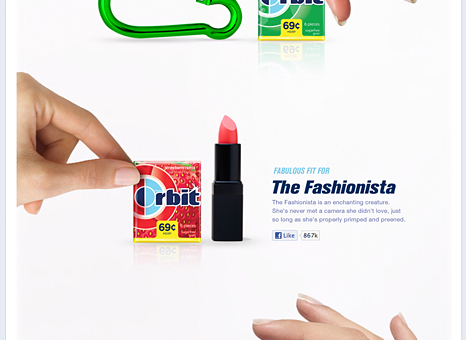 Three personas amplified the brand’s "Fits Fabulously" message—the Adventurer, the Fashionista and the Magician—with each corresponding to a specific flavor. Viewers were able to see the micro pack alongside an item from each persona’s pocket, giving context to the new pack size and demonstrating the product’s portability.